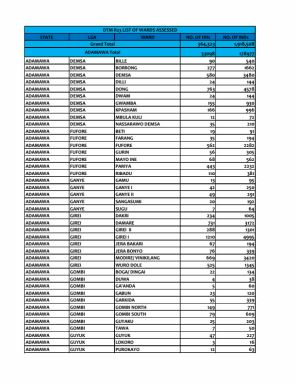 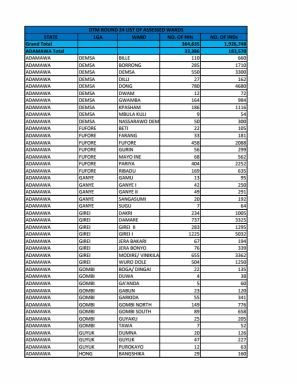 Within the period of 22 – 28 August 2018, a total of 4,888 movements were recorded, including 2,369 arrivals and 2,519 departures. 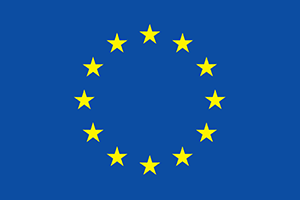 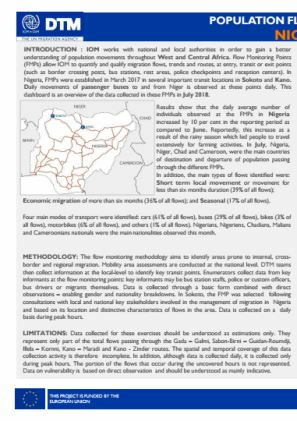 Results show that the daily average number of individuals observed at the FMPs in Nigeria increased by 10 per cent in the reporting period as compared to June. 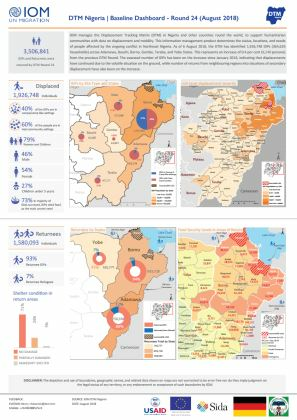 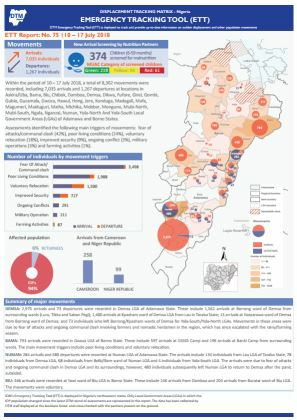 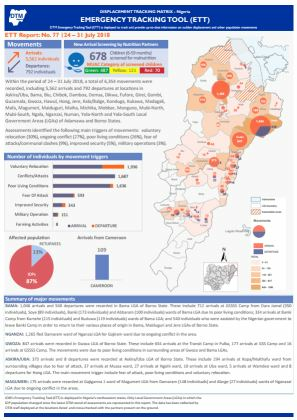 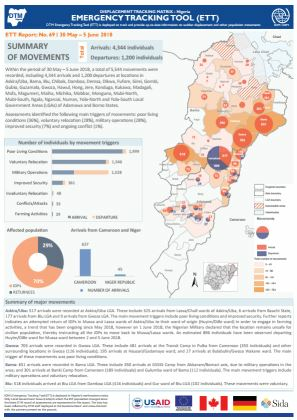 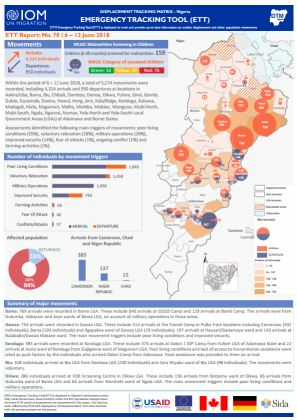 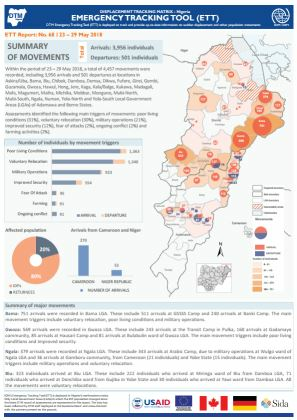 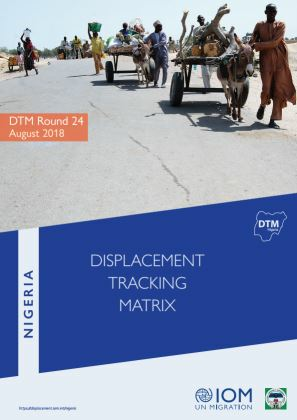 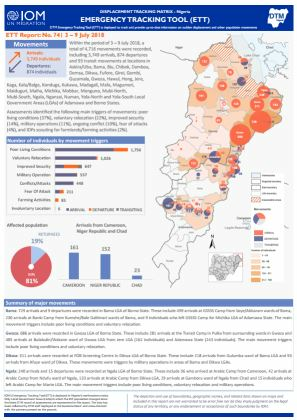 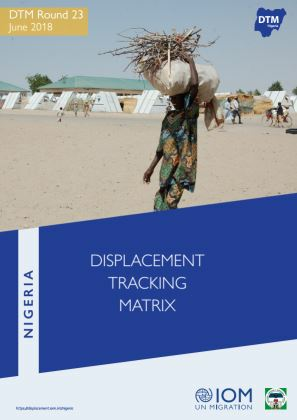 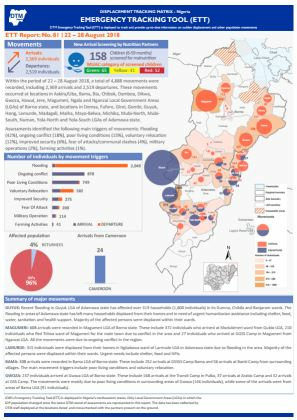 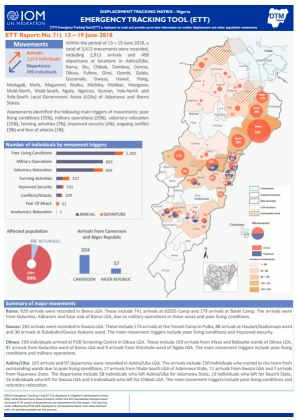 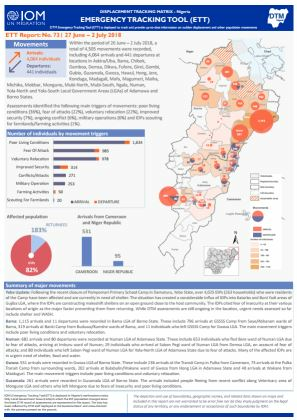 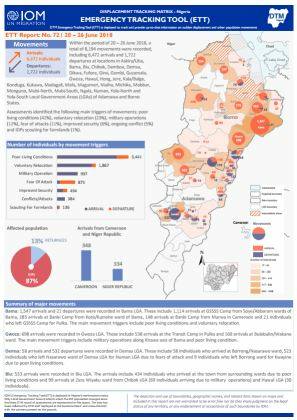 IOM manages the Displacement Tracking Matrix (DTM) in Nigeria and other countries round the world, to support humanitarian communities with data on displacement and mobility. 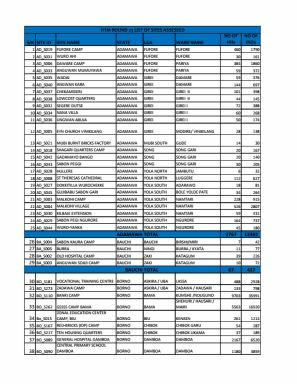 List of assessed wards for Round 23. 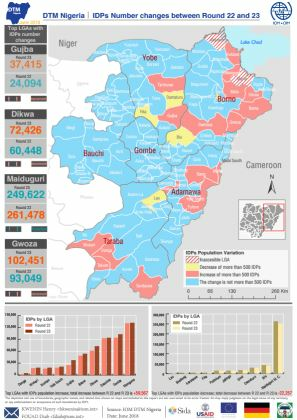 Round 23 IDP population variation dashboard. 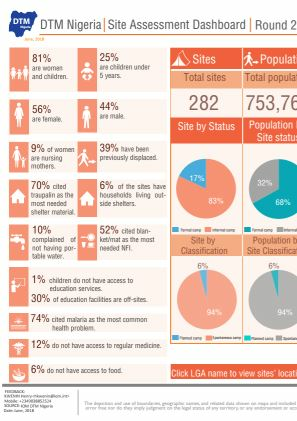 Round 23 Site Assessment dashboard.